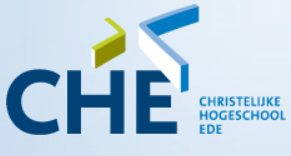 CHE is a university of applied sciences where employees and students form an environment in which innovative education and knowledge development of a high quality is created. In light of CHE’s growth over the past few years their accommodation has been expanded with a large new annex. This has been realized by using BIM; also AutoCAD drawings of old annexes were available. The goal of CHE was to have their drawing and Space Management organized in an efficient, easy-to-use way, considering the current demands on reliability and safety. CHE therefore chose to adopt ARCHIBUS as its integrated Information Management platform.